Wheeler is optimistic about a return to net neutrality. His tenure at the agency saw the passage of strong net neutrality rules, broadband privacy protections and other pro-consumer reforms, most of which were subsequently dismantled by the Trump administration and a Republican-controlled Congress. 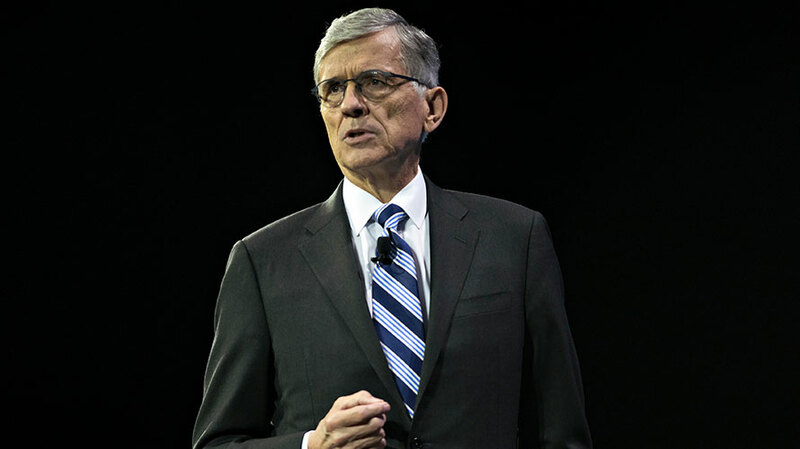 But Wheeler is optimistic net neutrality rules will eventually be solidified into law as well as privacy-focused regulation of Facebook, Google and other tech giants—an industry over which the FCC doesn’t have much jurisdiction but Wheeler had nonetheless hoped to influence. In his new book, From Gutenberg to Google: The History of Our Future, the former telecom lobbyist compares the process to other big shifts in communication technology throughout history. Wheeler spoke with Adweek about the path forward for net neutrality, how his hopes of spurring tech regulation backfired and why the Pacific Telegraph Act of 1862 is still relevant today. Adweek: You started writing your book before your tenure at the FCC. What has been the biggest change in its direction since holding that job? Tom Wheeler: I think probably there were two: One was the thesis I was working on pre-FCC was how the nature of networks had moved from a centralizing force to a distributed force, and economic activity was following that force outward to the edge of the network, which indeed it certainly has. What I didn’t see at that point in time before the FCC and I certainly did see at the FCC was how the distributed network would create virtual centralization, and the ability to collect information on users and centralize, for instance, virtually in order to provide to sell services was something I think I had not seen. Point two was how do you deal with that? And I said in From Gutenberg to Google that it’s never a primary network that is transformational but its secondary effects [i.e., the tech giants that operate on top of internet networks], and we saw that in history. And then what I tried to talk about based on my experience at the FCC in the second half of the book was a series of those secondary effects. This is not, as the Trump FCC has tried to characterize it, a matter of some kind of contract relationship between an ISP and its users. This is a matter of basic concepts about how essential networks will operate. The Pacific Telegraph Act of 1862—just shortly after the development of the telegraph—had a section that said there had to be nondiscriminatory access to the network. In 1862, with the telegraph, there was net neutrality. And then of course that concept extended to the telephone, and somehow, this fiction has occurred where because what it transmitted is digital that somehow it makes it different because the telephone network had been analog—no, it doesn’t make it different. Was there any similar political debate at the time? Are you hopeful net neutrality will eventually be solidified into law? I’m hopeful on two fronts: One is the Court of Appeals for the D.C. circuit. I was in the courtroom when what was scheduled to be an hour of oral arguments on the Trump FCC’s repeal of net neutrality extended into four and a half hours of oral argument because the judges were very interested. So, I’m cautiously optimistic that they see how the Trump FCC did not make a fact-based decision and therefore did not follow the Administrative Procedure Act. And then I’m also encouraged by what the Democrats are doing in Congress. What do you think of recent calls from various lawmakers for more regulation of big tech? I think that the concepts that we were promoting at the FCC, which basically boiled down to a duty to deal—what net neutrality was—and a duty of care—basically, what our privacy rules were—ought to apply across the board, whether you are a network company or a company that rides on the network. The reality that we faced at the FCC was that we only had jurisdiction over the networks, and I just felt that that’s not a reason to wash our hands. Interestingly enough, I had hoped that we would build a model approach for networks, and then maybe the networks will turn around and say to the government that this is the same kind of rule that ought to apply to the edge providers [companies that provide online content and services like Facebook and Google]. Instead, they went to the edge providers and said, ‘Hey, you don’t want this rule to apply to you so let’s work together to kill it.’ And they got Congress to repeal the privacy rules, and they got the FCC to repeal the open internet rules. Based on your historical perspective, where are we in that time line as compared to other shifts in information technology? Clearly, history tells us that the pioneers always make the rules. Their rules hold until those practices begin to infringe on the rights of others and the public interest. I think that where we are right now is we are identifying the fact that the rules thus far have been made by the digital companies, and it’s starting to have an impact on the public interest and the representatives of the public therefore need to step forward and make new rules.